← Rhondda Bosanquet B.A. M.A. Natalie S. Peikin Berman Ed.D. 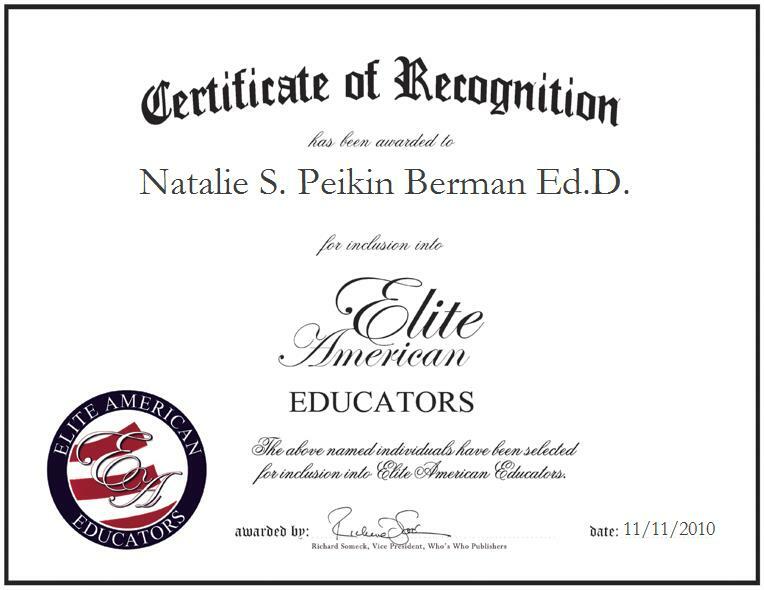 Las Vegas, Nevada | November 11, 2010 | Natalie S. Peikin-Berman, Ed.D., Assistant Professor Emeritus with the Nevada State College Liberal Arts and Science Department, has been recognized by Elite American Educators for her dedication and achievements in higher education. As an assistant professor with Nevada State College, Dr. Peikin-Berman taught English, conducted workshops, developed curriculum, facilitated administration, editing, consulting and worked on accreditation. Dr. Peikin-Berman’s greatest reward as an educator was watching as her teachings made a difference in her students’ lives. She attributes her success to her excellent mentors, her resiliency, and her passion and desire to be a teacher. She enjoyed stepping away from the typical boundaries of a professor and student relationship and connecting with her students on a more personal level. During lunch she would “hang out” with her students in the cafeteria to get to know them, establishing a comfortable atmosphere so her students could absorb more of her lessons. With a fierce independence and strong leadership qualities, Dr. Peikin-Berman has been able to excel as an educator. She earned a Doctor of Education in leadership and administration from Indiana University of Pennsylvania in 2003, a master’s degree in elementary education from the University of Pittsburgh in 1967, and a Bachelor of Science in elementary education from Temple University in 1964. 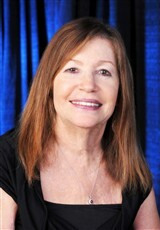 She has been honored with various awards for her dedication and achievements, including the Award for Teaching Excellence from Nevada State College in 2007, Graduate Honorary Society from Indiana University of Pennsylvania in 2003, the National Scholarship Award and Lifetime Achievement Award from Phi Delta Gamma in 2000 and 1994. With over 41 years experience in the education field, Dr. Peikin-Berman advises that the key to success is to love what you do. Contact Natalie S. Peikin Berman Ed.D.